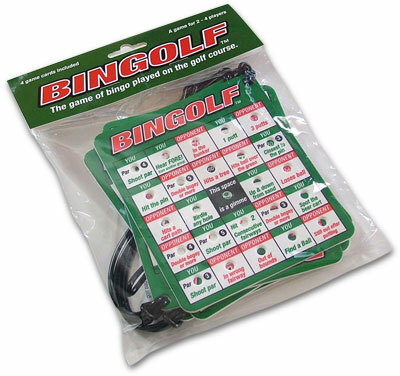 BINGOLF is a game of skill (yours), misfortune (your opponents') and luck. 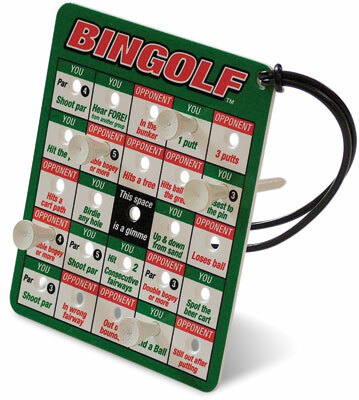 Players try to match a set of randomly selected scores, strokes, events and sites on the golf course to the squares on their BINGOLF cards. The object of the game. It's the same as it is in bingo. The first golfer to complete a line vertically, horizontally or diagonally wins the game. There are 2 types of squares, green and red. The green squares are labeled YOU and consist of positive events you encounter throughout your round. The red squares are labeled OPPONENT and consist of negative events your opponents encounter. 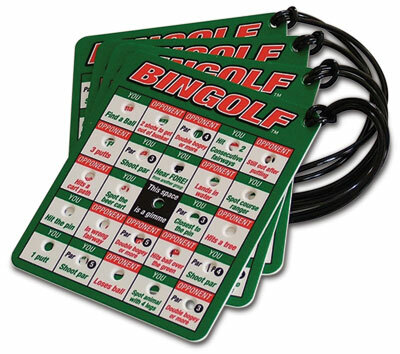 Use a golf tee to fill the squares on your card as the matching events occur on the course. Players may fill multiple squares on their card during one hole. For example, if you shoot par on a par 4, one of your opponents double bogeys, and another opponent 3 putts, and all of these events are on your card, you can fill three squares from that one hole. Play continues until someone completes a line. Once the win is verified, all golfers clear their cards and begin a new game at the next tee box. In the event that the game in progress is not completed by the end of the round, the player with the most filled squares wins that game. The wagering is up to you...settle up on the 19th hole.